I hope you all had a wonderful Christmas and enjoyed your time with family and friends. Please forgive the intrusion of politics over the holidays, but we do have a special election tomorrow and I wanted to get this information out to you before the date of the election. SPECIAL ELECTION FOR IA SENATE DISTRICT 45 ON TUESDAY, DEC 27. Vote for Mike Gonzales! Polls are open from 7am- 9pm and you vote at the same polling place at which you voted for the November election. Be sure to vote if you live in one of the following precincts D11, D12, D22, D23, D24, D42, D43, D71, D72, D82, BF, D13, D14, D31, D32, D33, D34, D41, D44 and D54. You can also still vote early in person at the Auditor’s counter on Monday 12/26 from 8-4:30 600 West 4th in Davenport. 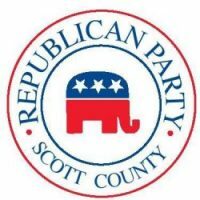 If you don’t know in which precinct you live, visit the Scott County Auditor’s website and click on Precinct Finder to determine your precinct and if you are eligible to vote in this election.